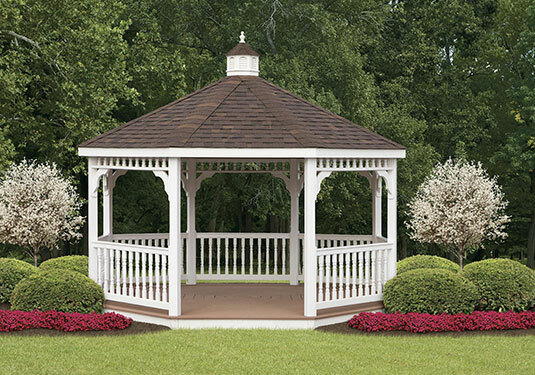 Enjoy the beauty of a classic gazebo without all of the maintenance and upkeep requirements with vinyl gazebos from Pleasant View Structures. Instead of spending your time sealing, painting, or staining, relax and take in the view or create a perfectly comfortable and covered outdoor entertaining spot. 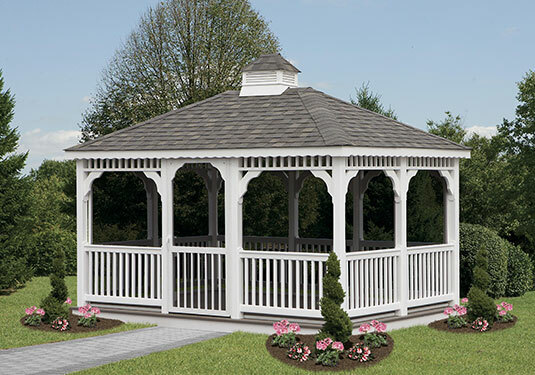 And because of our variety with styles, it won't take long to find a sturdy vinyl gazebo for your yard, no matter how big or small it may be. With shingles, you can go with traditional asphalt ones or rubber slate shingles that mimic the look and texture of natural slate. 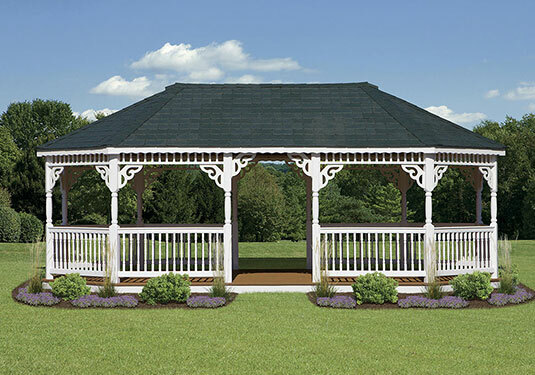 Additional vinyl gazebo features include elegant Victorian braces, decorative cupolas, durable Colonial rails, and designed posts. Prefer some added protection from insects and the elements? We have vinyl gazebos with screens that can serve this purpose without obstructing your view. Screened entry doors can also be included on your Pleasant View Structures vinyl gazebo. Visit our sales lot, or contact us today to learn more about our vinyl gazebo selections and services.